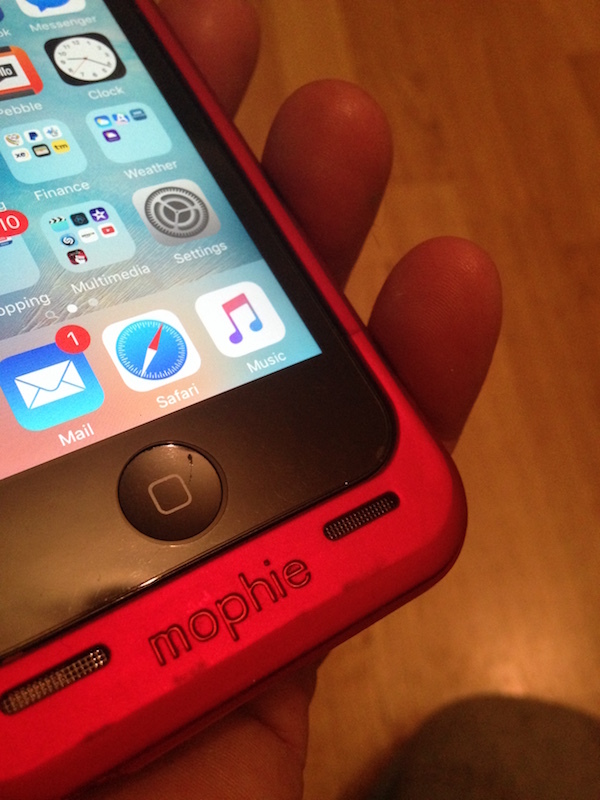 It’s no secret I am a fan of Mophie Juice Packs. Not only do they offer extra battery for charging on-the-go, they double up as very sturdy cases. The Juice Pack Helium and Juice Pack Air are great, but for the ultimate in extra battery life you can’t beat the Juice Pack Plus. The Juice Pack Helium has a 1500 mAh battery, offering about 60% full charge; the Juice Pack Air has a 1700 mAh battery and offers 80%; and the Juice Pack Plus has a 2100 mAh battery and offers a whopping 120% – meaning you should be able to charge your iPhone from flat to full and still have a little extra if needed. However the extra battery size comes with extra size. The Juice Pack Plus is 2.63” x 5.58” x 0.69” vs the Juice Pack Air at 2.58” x 5.55” x 0.63” and then the thin Juice Pack Helium at 2.49” x 5.49” x 0.59”. There isn’t much difference in size. 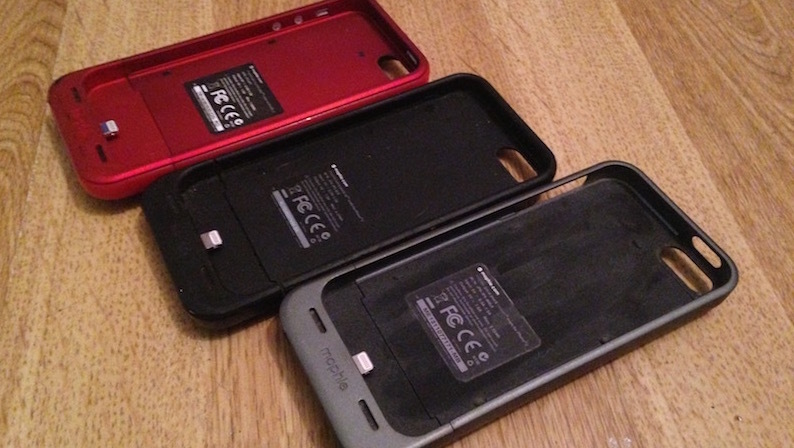 In fact, compared to the range for the iPhone 4/4s, Mophie have severely slimmed down these packs. The Juice Pack Plus for the iPhone 4/4s was extremely bulky, and I was a little hesitant when getting a Juice Pack Plus for my iPhone 5. It seems they have listened to customers, and coupled with the iPhone 5/5s being thinner, this Juice Pack Plus is a much more reasonable size. The Juice Pack Plus comes in two parts. 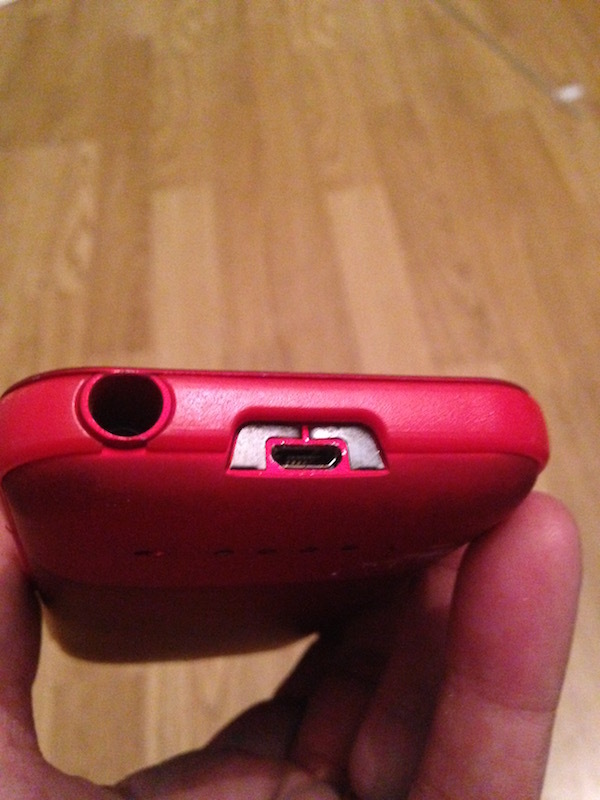 You slide the phone into the top part and then attach the bottom, completely sealing the phone. 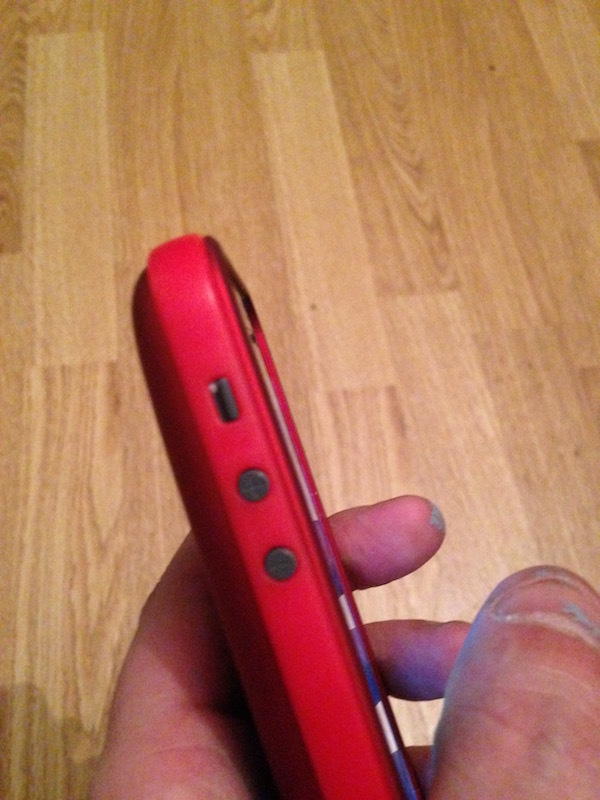 The two halves click together very tightly, totally enclosing the phone. Unlike the Juice Pack Helium, the Juice Pack Plus totally encloses the phone. All the buttons are rehoused, just like the Juice Pack Air, although these buttons seems better and easier to press – especially the silence and power button. 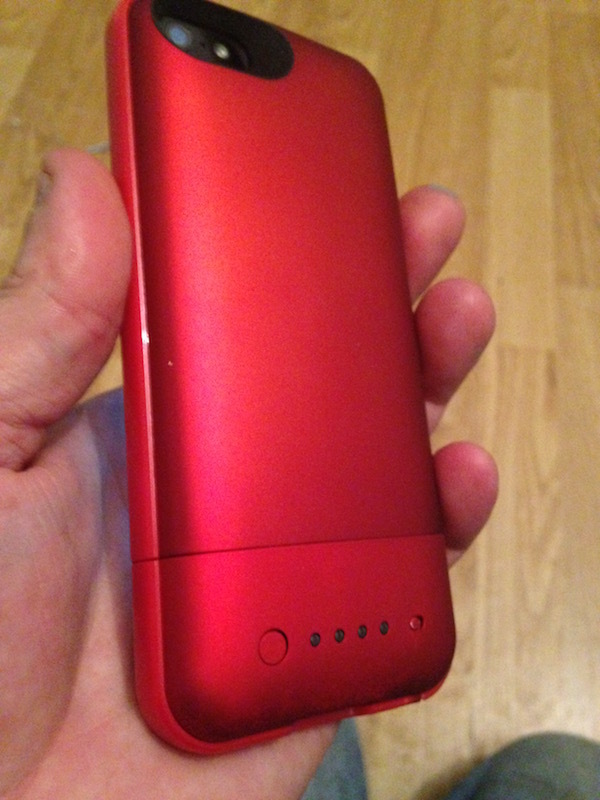 The back of the Juice Pack features the usual switch to turn on the battery pack, the LED indicator, and a button to check the level of charge in the Mophie. Below the phone are the passthrough grills for the speaker and microphone. The bottom has a Micro USB port for charging. Also on the bottom is the hole for your headphones, which require either the extender cable supplied by Mophie or for you to remove the bottom to feed your headphones through. The Juice Pack Plus has a slightly textured feel to it, giving superb grip in your hand. I picked up a red Juice Pack Plus. Ordinarily I would have bought a black one to match my phone, but I fancied a change – and it was a lot cheaper than the black alternative. Its a Mophie. What else can I say that I haven’t already before. If you are wanting a power case with a serious amount of oomph, grab the Juice Pack Plus and leave the Juice Pack Helium and Juice Pack Air behind. All Mophie Juice Packs add bulk to your phone, but the Juice Pack Plus doesn’t add much more size than the other two – yet offers a lot more battery. 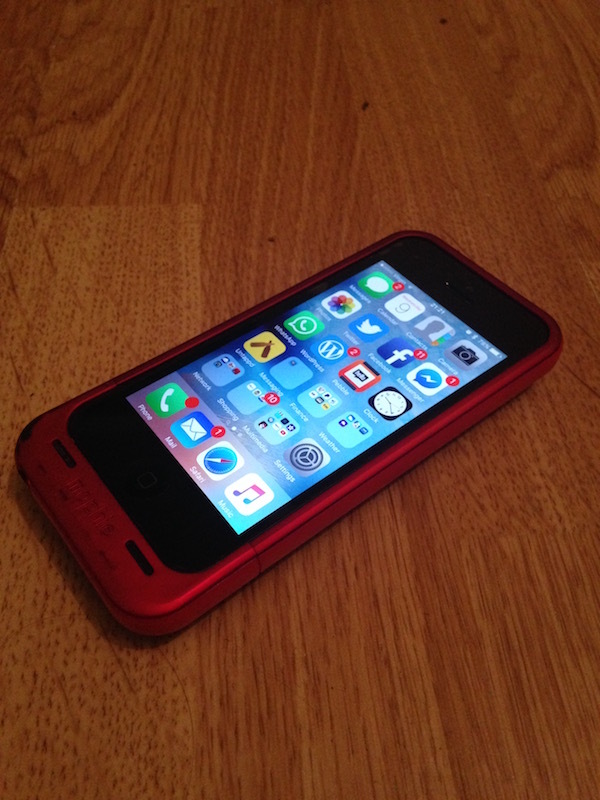 Check out my other Mophie reviews: Juice Pack Helium iPhone 5/5s Review, Juice Pack Air iPhone 5/5s Review, Juice Pack Plus iPhone 4/4s Review, Juice Pack Plus iPhone 4/4s Revisited, Juice Pack Air iPhone 4/4s Review and Juice Pack Air iPhone 3G/3GS Mini Review.